Áslaug Ásgeirsdóttir is the associate dean for the Natural Sciences and Mathematics, and the Social Sciences divisions. 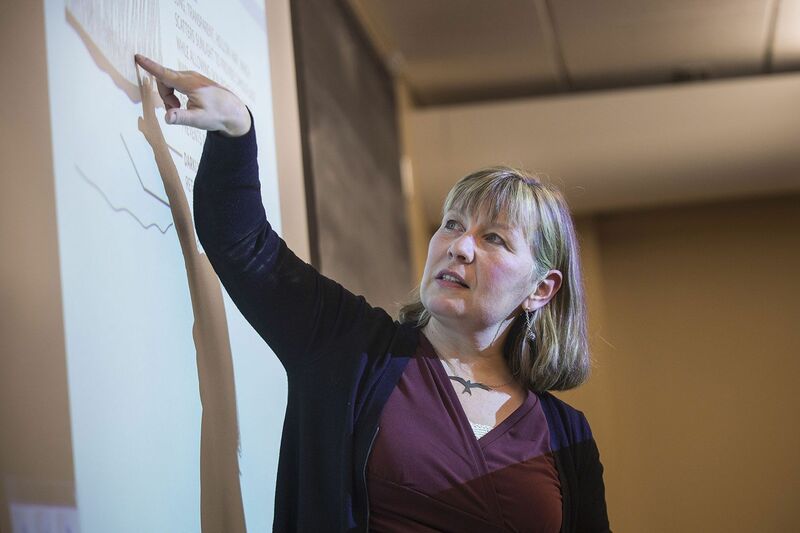 In that role, she administers the Bates Faculty Development Fund, serves on the Curricular Review Committee and supervises the Math and Statistics Workshop, and the Bates-Morse Mountain and Shortridge properties. She is also serves as a Deputy Coordinator for Title IX, and sits on Bates’ Behavioral Intervention Team. Other regular tasks include hiring temporary faculty, guiding departmental and program reviews, supporting departments and programs within her divisions, responding to curricular or course-related concerns (e.g., over-or under-enrollment, cancelled courses, leaves), meeting with students or parents who have concerns, and attending meetings of the Academic Affairs Council and working closely with the appropriate division chairs.